The Bold and the Beautiful spoilers relate that we’ve seen a lot of different faces when it comes to the cutthroat ruthless, yet very handsome and desirable Bill Spencer, but has there been a sudden shift to his character in recent weeks? That’s what many The Bold and the Beautiful fans want to know as Bill has repeated many times recently that he wants to put his family back together and be the father that he knows he can be. The only question is, can he be trusted? Actor Don Diamont has the answers. Speaking to Soaps in Depth, Don thinks that Bill has definitely changed. But whether he is being sincere or not in his intentions remains to be seen, especially when it comes to his relationship with his ex, Katie Logan (Heather Tom). Katie, meanwhile, appreciates what she is now seeing from her ex-husband. Bill the businessman is great for Spencer Publications, but she needs Bill the father for their family. The longer he acts this way, the more it will benefit her and the couple’s young son, Will. At least, that’s what she believes. The Bold and the Beautiful airs weekdays on the CBS network. Check your local listings for times. In the meantime, drop us a line with your thoughts in our comments section below. And as always, come back to Daily Soap Dish for all the latest news, updates and spoilers on The Bold and the Beautiful right here. 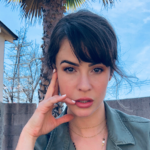 General Hospital Spoilers: Ryan Carnes (Lucas) Discusses Controversial Baby Swap Lie, Affirms Relationships and Lives Will Be Destroyed!